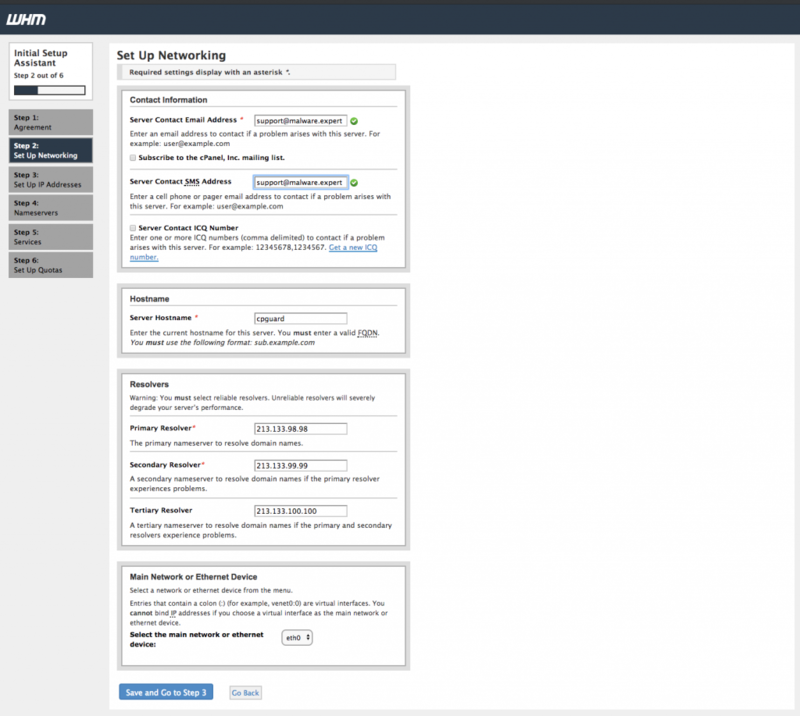 This tutorial we installing cPanel server with cPGuard plugin. First need fresh minimal install of CentOS. 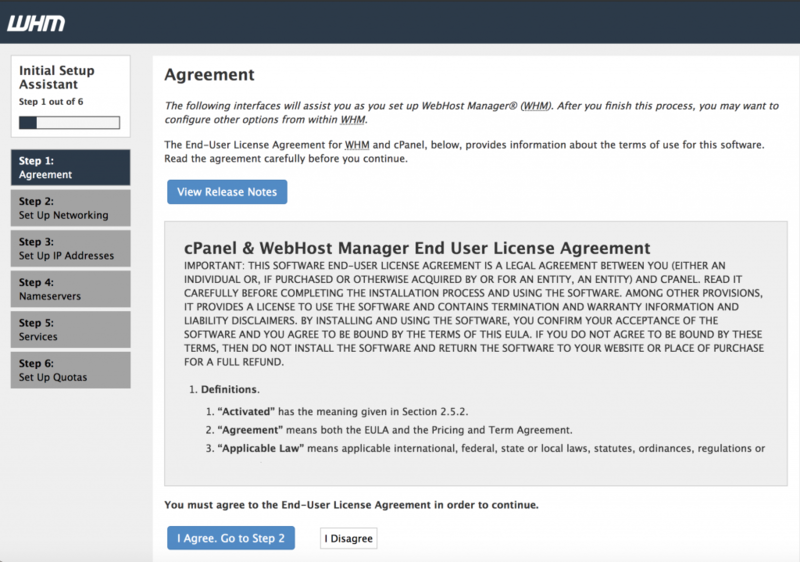 Once you have installed cPanel/WHM, it can’t be removed from your system. There is no uninstall script, you will have to reinstall your the operating system to remove it. 2018-09-25 07:18:10  268 ( INFO): cPanel install finished in 20 minutes and 21 seconds! 2018-09-25 07:18:10 1195 ( INFO): Congratulations! 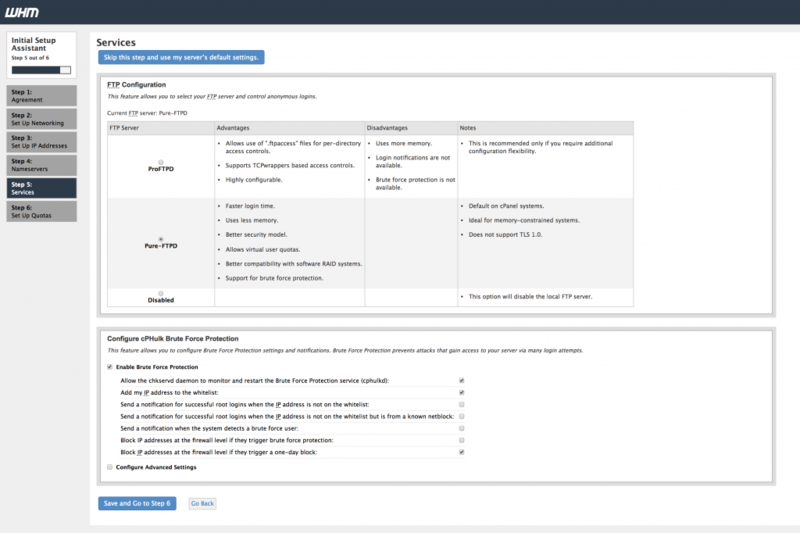 Your installation of cPanel & WHM 11.74 is now complete. The next step is to configure your server. 2018-09-25 07:18:10 1195 ( INFO): Before you configure your server, ensure that your firewall allows access on port 2087. 2018-09-25 07:18:10 1195 ( INFO): On RHEL, CentOS, and CloudLinux systems, execute /scripts/configure_firewall_for_cpanel to accomplish this. 2018-09-25 07:18:10 1195 ( INFO): After ensuring that your firewall allows access on port 2087, you can configure your server. 2018-09-25 07:18:10 1195 ( INFO): Visit https://go.cpanel.net/whminit for more information about first-time configuration of your server. 2018-09-25 07:18:10 1195 ( INFO): Thank you for installing cPanel & WHM 11.74! After that you need to complete the installation wizard from its web based interface. You got this information when installation finished. Read the End User License Agreement and accept the terms! Provide your working email address in the column of “Server Contact Email Address”. Main Network/Ethernet Device, an IP available on that device will be considered as the main IP address of your server. 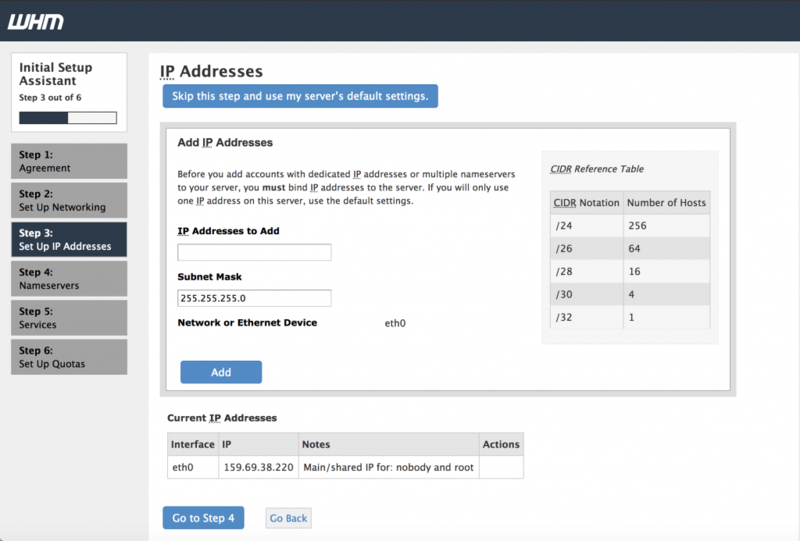 Enter a valid FQDN hostname and Resolver entries for your server in the Networking section. Configure different services like FTP, Mail and Cphulk. 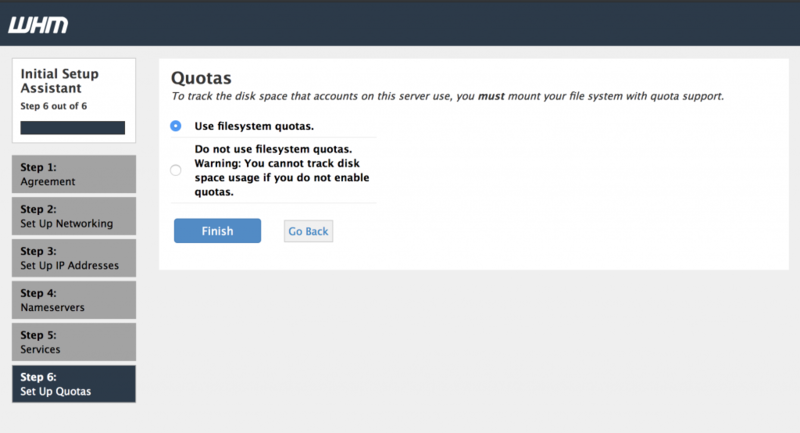 You can enable quotas which helps you to track down the disk space usages. Finish setup wizard to complete the Installation process. 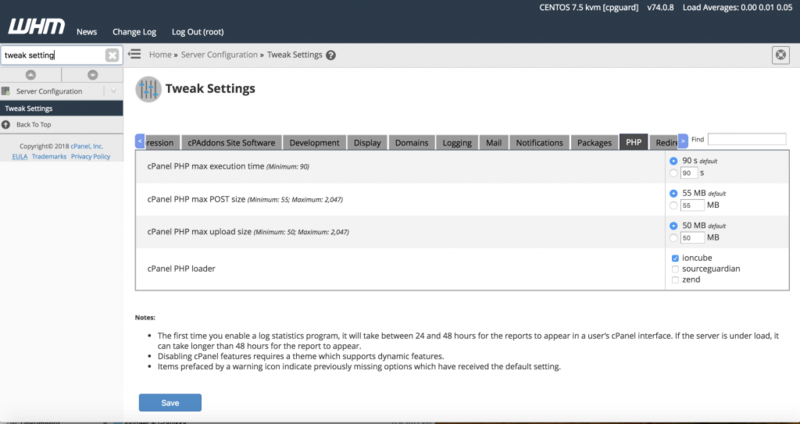 Ioncube should be enabled in cPanel’s PHP before you install cPGuard. If you have not installed it, the installer will exit with an error message. This will enable Ioncube for you in 3rd party PHP binary. 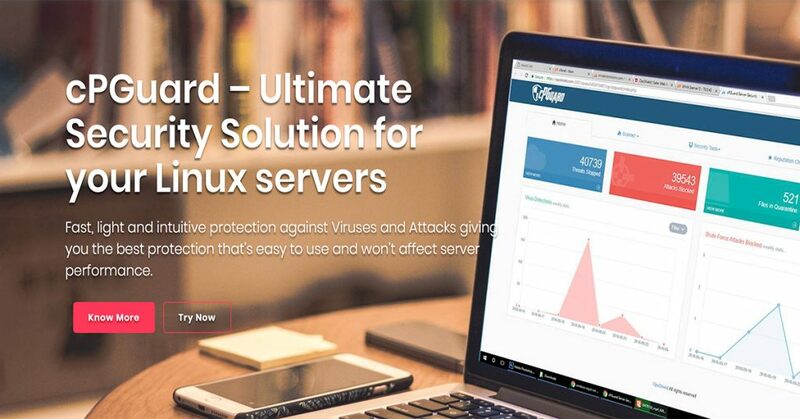 Once cPguard is installed, we need complete initial settings which allow you enable like WAF protection with ModSecurity rules and other features from cPGuard Security plugin.